Welcome to the megacity, where skyscrapers loom large. You look up to find a lone tightrope walker threading the gap between two buildings. 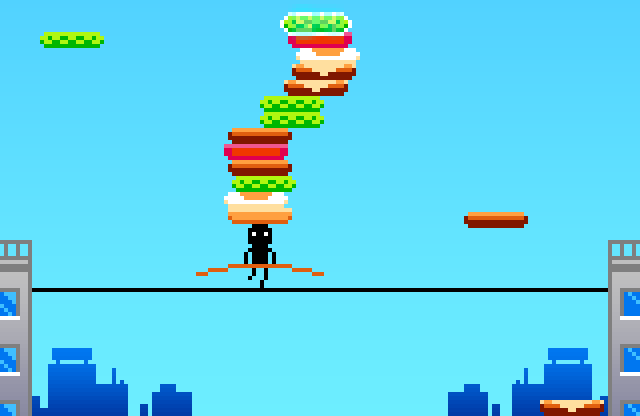 Upon closer inspection, you find he is hard at work building hamburgers…!